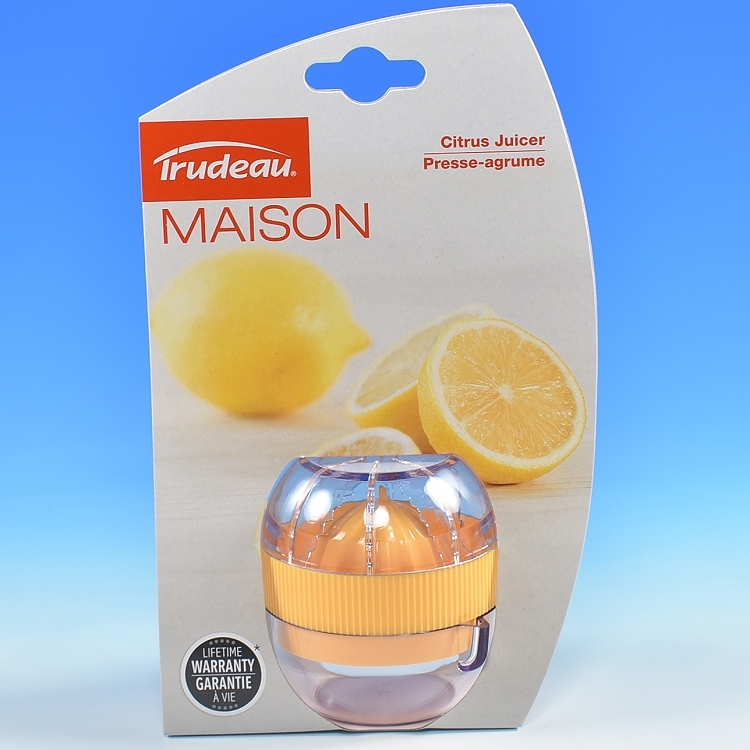 Handheld Citrus Juicer, will easily juice and strain lemons & limes! The perfect size, fits comfortably in your hand and small enough to fit into a kitchen drawer! 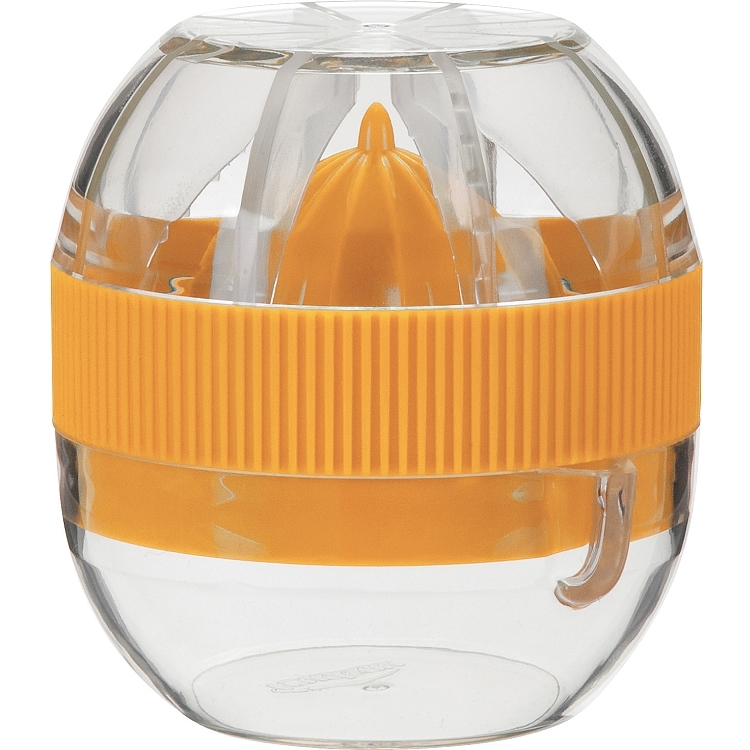 • Lid with serrated fins designed to firmly grasp fruit. 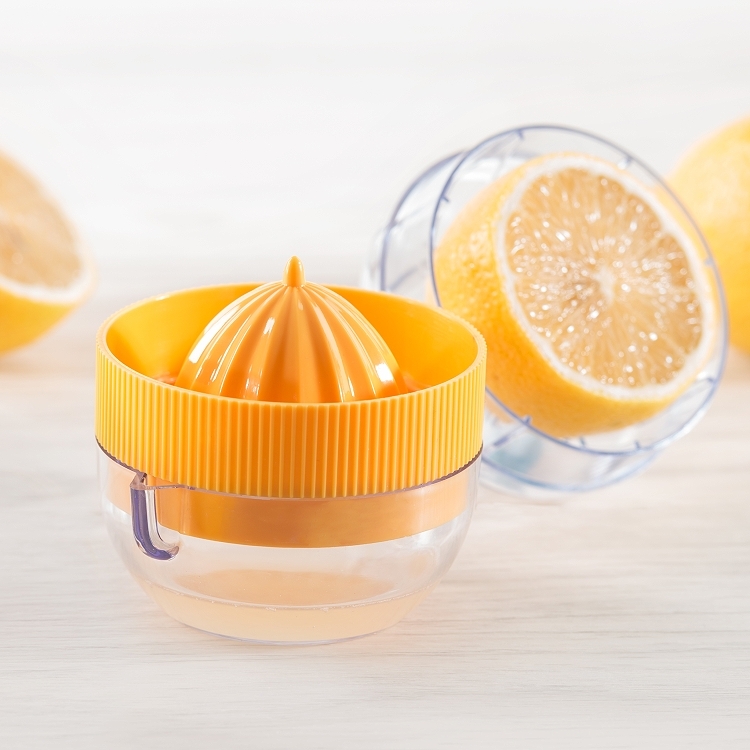 • Juice container with pouring spout.